Cubian is a battle tested os on cubieboard now, just look at the issue tracking system. Clean and simple are its philosophy. 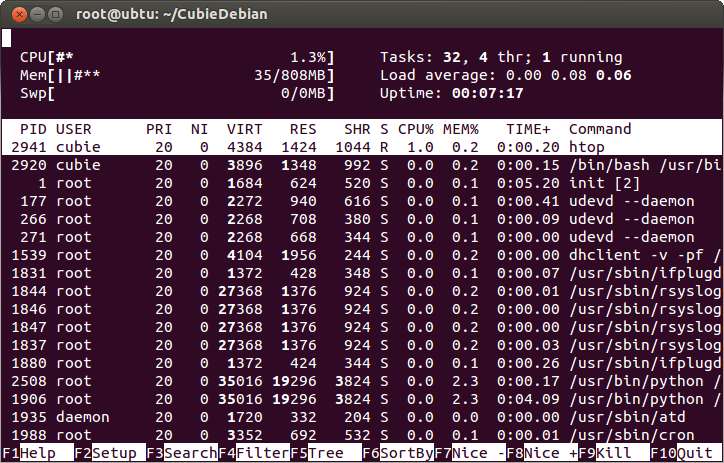 Load average in idle state is very nice. Ajenti web control panel. The login credential is root:admin. 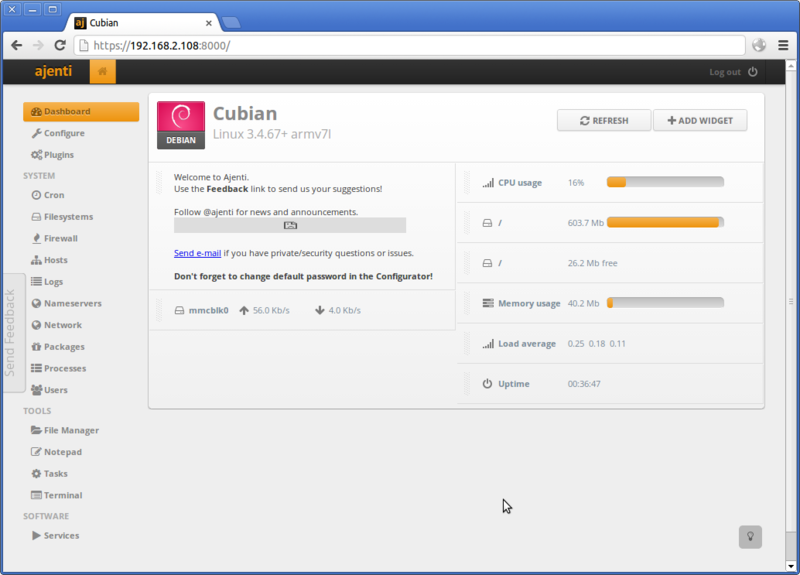 Notice: As you can see the free space is only 26MB, I recommends you use cubian-resizefs to expand the spaces. Cubian will have a desktop version soon, I am working hard on it currently. What i can tell you is it is really amazing.